Lahore High Court Judge Ameenuddin Khan on Wednesday further extended the stay against Hafiz Saeed's "possible arrest". 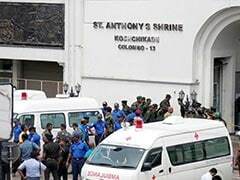 Lahore: A Pakistani court on Wednesday extended a stay against the "possible arrest" of the Mumbai terror attack mastermind and Jamaat-ud-Dawah (JuD) chief Hafiz Saeed till April 4. Ahead of the visit of the UN Security Council monitoring team, the Lahore High Court on January 24 had restrained the federal government from arresting Saeed on his petition. On January 23, Saeed had moved the court seeking protection from his possible arrest by the federal and the state governments, under the alleged pressure from the US and India. Lahore High Court Judge Ameenuddin Khan on Wednesday held the hearing and further extended the stay against Saeed's "possible arrest" after the arguments of his counsel. Saeed's counsel Advocate AK Dogar said the government had planned to arrest Saeed on the pressure of the US and India as it had already taken over the movable and immovable assets of the JuD and Falah-i-Insaniyat Foundation (FIF) and frozen their bank accounts on the international pressure. He said the Punjab government had detained Saeed for 10 months. However, a judicial review board comprising judges of the high court ordered his release in November last. "Hafiz Saeed is a founder/chairman of JuD and Falah-i-Insaniyat Foundation (FIF) and also established 142 schools and three universities. For the last many years he has been engaged in public welfare activities across the country," Dogar said. "All actions the (Pakistani) government has taken against his client so far footprints of the US and Indian lobby are visible on them. 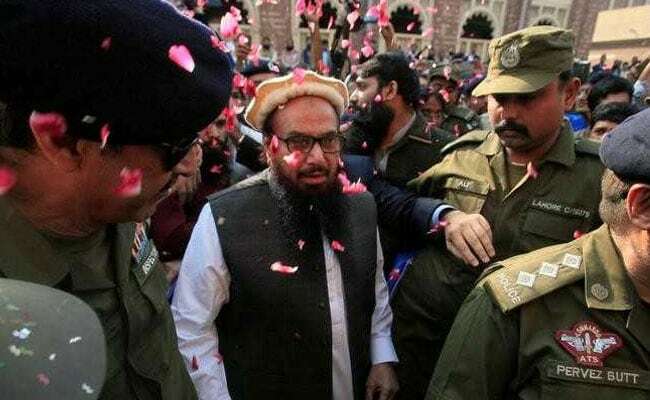 The Indian lobby for the last many years have been harbouring an unfounded assumption that Hafiz Saeed was somehow involved in the Mumbai attacks," he added. He pleaded the court to restrain the government from taking any illegal action against Saeed. Justice Khan adjourned the hearing till April 4 with a direction not to arrest the JuD chief till then. Saeed, who founded Lashkar-e-Taiba, is carrying a bounty of USD 10 million placed by the US government on his head. The judge also expressed his displeasure over the failure of the federal and the state governments in filing their replies on Saeed's allegations. The US Department of the Treasury has designated Saeed as a Specially Designated Global Terrorist. The banned Jamaat-ud-Dawah (JuD) head was released from the house arrest in November last year after the Pakistan government decided against detaining him further in any other case. He was under house arrest since January last year.